So, I'm one of the 450,000+ VW TDI owners who will likely be having their vehicle bought back by VW later this year. Mine is a 2013 Sportwagen. I'm thinking it's time to step up and am seriously considering a low-mileage used E350 wagon. I have to admit that I'm blown away by the depreciation that Mercedes suffer, but it appears there are lots of people out there getting rid of theirs with just a few thousand miles on them, thereby taking that hit for potential second owners. Anyway, I've got my eye on a 2015 E350 Wagon with only a few thousand miles on it. I am a little confused about its specs. The below codes are directly from the build sheet. What's go me confused here is the combination of 321 and 677. I've heard some not-so-great things about the sport suspension, that it can be kind of harsh. I just spent a weekend with a 2016 C300 rental and really enjoyed the comfortable ride. I'd like to have something close to that, but with the wagon. So, can anyone tell me what I'm getting here? A stiffer sport suspension or a comfort suspension. The car also comes with 18" AMG wheels. Also, I'd like to be able to tow my motorcycle with this car. I've found a couple of hitch options - this is clearly doable. But is the lowered suspension going to make that trickier? 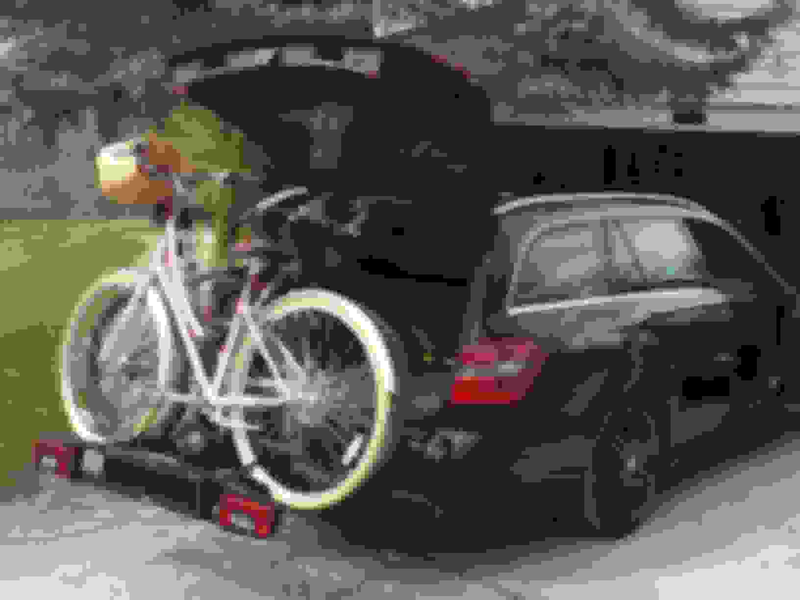 It's already a lowish car - losing 1/2" more might make the difference between being able to install a hitch and not. Any thoughts? I really enjoyed driving a Benz this weekend, but need the utility of a station wagon. I don't like SUVs. If the E350 doesn't work out, I'll probably go with a BMW 328i Sportwagon. But I just liked the heft and stability and comfort of the C300 I drove. I'm hoping that the E350 has those same qualities. The E 350 class sports pkg isn't true sports suspension like ur acustom to. I think they call is avant garde. The car is styling is sporty- with the chrome diffuser in the back and the sporty grill no ornament look in the front. That's about it. I don't feel the suspension is tuned to what I was used to with the BMWs. E550 and E63 probably are entirely different. I can't speak to those since I do t drive one of those. My sports pkg clearly has another ~inch that can be lowered in the fender gap. Last edited by lay3r3; 05-30-2016 at 10:50 PM. Any idea why the 321 (sport suspension) and 677 (comfort suspension) are listed on the same build sheet? That is most likely a custom order by the owner. Usually sports package come with sports suspension only (well ..... okay sort of sports suspension ). The only way to get comfort suspension with sports styling is to do a custom order. Now to be honest there isn't much of a difference between the sports and comfort suspension apart from the slightly lowered stance snd styling. Even if you select the "sport mode" from the console button it only affects the gear shift points (holds gears longer). If you like the ride of C 300 and find it comfortable and stable, then you will really love the E class ride, because it is so much better than the C. Most of us feel the difference when we get C class as service loaners. I have a 2013 E350 wagon with the "Sports" suspension and have driven a # of 2015/2016 C300's with base and sport suspension. The E350 wagon with "Sport" suspension still rides much more comfortable than the C300 regardless of suspension package the C300 has. Partly due to the fact the C300 has run flat tires where as my wagon has regular tires. Run flats tend to ride harsher. If the C300 was comfortable enough for you, then I wouldn't worry about what suspension that E350 wagon has. You should be more than happy with the ride quality. The car I'm looking at is a 2015 E350 wagon, 4500 miles, keyless go, sport suspension, AMG wheels, MBtex, wood steering wheel, other goodies (see below). It's a dealer loaner. They want $50k. Seems pretty good. I'd have to buy sight-unseen and have it shipped - it's 2000 miles from me. I know I'll love it. Trying to figure out if it squares with my lifestyle. I don't just drive cars, I use them - fill them with kids and junk, take boxes to FedEx everyday, and will probably tow my motorcycle trailer and a small utility trailer with it from time to time. I'm also not a fan of maintenance and repairs. A new, fully loaded Subaru Outback would probably be the better fit, but damn, I just really like the way these MBs drive. My father has a 2008 SL55 AMG that I drive from time to time. I just really want one of these and can afford it. Just don't want to regret it. Last edited by sbh1973; 05-31-2016 at 09:53 PM. It's a reasonably optioned car. Few remarkable omissions being leather, lighting package and distronic plus. Looks like Wagons keep their resale value high compared to sedans. This is around $3000 less than I've found anywhere else. But maybe the wagons, being rare, do hold their value a bit longer. Looks like a great deal to me. I don't drive a wagon, but I think MB makes the best looking wagons around. Go for it! I'm sure you will love it. I agree, go for it. I got a brand new 2015 Wagon in January for $53k on the $66k MSRP, so you should probably be able to get a for a bit less than $50k. Great utility and ride on those Wagons and they look kick ***. You can definitely "use" these wagons! I've had my 2015 E350 wagon for 1.5 years now. I was coming from a 2002 manual transmission E46 wagon (which I still have for fun) so this was a definite step up as far as plushness and luxury! I custom ordered because I wanted a loaded wagon with designo leather seats, curly maple trim, and indigo (and because I tend to keep my cars a long time). Despite how fancy this car is, I definitely treat it like a car. We are very outdoorsy (when we're not living our commuter life in L.A.) and take our two 45lb dogs on roadtrips all over CA and the southwest, drive on rutted/rocky/muddy/sandy dirt roads (4 hours of them going to/from Chaco Canyon), make regular trips to the garden centers to haul home trees, plans, and soil. And it's not garaged except for during the day at work. Yes, it gets filthy but we get it cleaned and detailed periodically. A suburu wagon would probably be more practical for us, too, but I spend a lot of time commuting in the city and wanted to be enveloped in Mercedes luxury! I don't know if you've bought the car already, but one option that is not on your list - and which really makes my wagon feel like the ultimate luxury wagon - is distronic. I use distronic every time I drive. It makes commuting in LA traffic so much less stressful and it's great on roadtrips since you don't need to watch the speedometer and stress about speed traps. It's just an amazing feature to live with. Anyway, you might have already eliminated it for whatever reason, but it's one of my favorite things. Good luck with your purchase and enjoy! I liked the westfalia quality so much that I then added the BC60 bicycle carrier. The British pound is very weak and PF Jones have great cutomer service so they are worth considering.